First, 2012 witnessed the Code Orange Revival, fresh off of the heels of that came the Elephant Room 2 conference, followed by the ONE Conference and who knows how many in between. After all, what would the start of a new year be without a slew of Seeker-Driven conferences back-to-back to inspire all of us ordinary folk to audacious faith? What would we do without the same stale exciting line-up of speakers teaching us how to do more so that God can finally unclasp His hands and bless us? 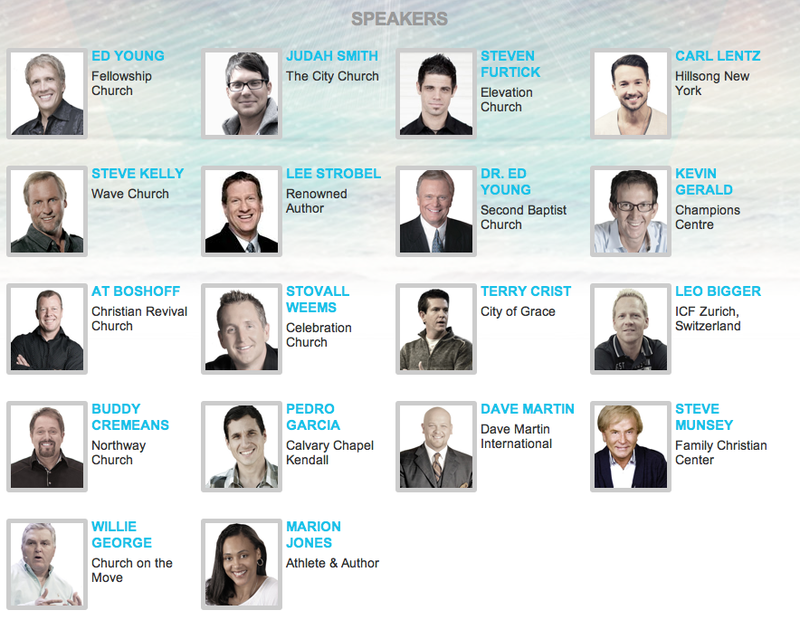 This week’s entertainment comes to us via Ed Young, Jr., Fellowship Church, and the C3 2012 Conference. If you so desire, you can view the evening session and worship online. Past speakers at this event have included such now-household names as “Bishop” T.D. Jakes, Joyce Meyer, Brian Houston of Hillsong Church and of course, Steven Furtick. In fact, if I’m not mistaken, I believe it is now considered grounds for public rebuke if one fails to invite young Prophet-Pastor Steven Furtick to speak at one’s conference. I hope someone gets the message to Dr. John MacArthur quickly, before next month’s Shepherd’s Conference, because as of the writing of this post, Furtick is nowhere to be seen in that lineup of faithful, biblically grounded teachers. Ed Young, Jr.’s 2012 C3 Conference features many of the usual names. 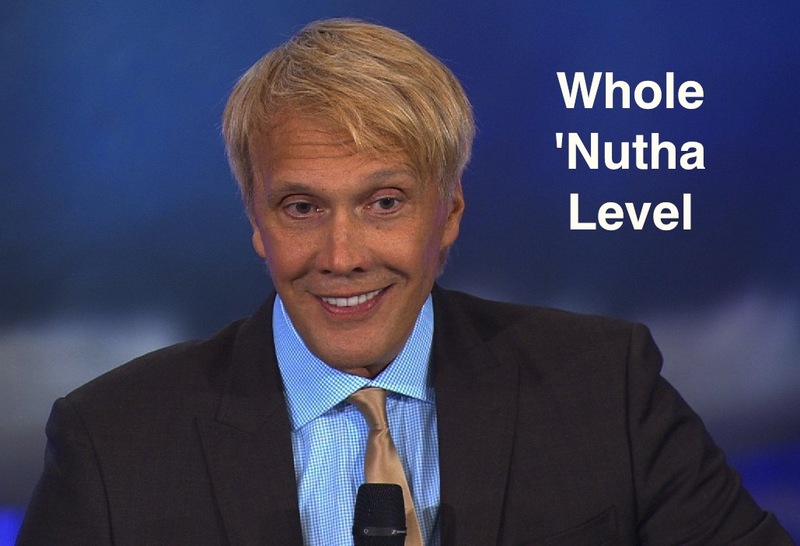 Furtick is of course included, along with fellow Seeker-Driven and quasi-Word Faith teachers like Kevin Gerald, Steve Munsey and Stovall Weems. Upon closer examination, it seems as though the C3 Conference lineup solicited many of its speakers from the famed Code Orange Revival and the ONE Conference. Perhaps this is another reason that these conferences always occur in such brief succession; maybe it allows these speakers to save on airfare. Steve Munsey – C3 2012 from Fellowship Church on Vimeo. C3 2012 – Stovall Weems from Fellowship Church on Vimeo. So, if you are lucky enough to be attending C3 this week, you’ll “have a blast” and learn how to develop a “creative culture in your church.” Super. Yes, that’s right. If you’d like to “walk away inspired to do more, to reach higher, and to extend … into new territory,” then this is the conference for you. If you are seeking Law with no Gospel, then C3 2012 may be just the place to find it! You’ll hear such biblically ignorant teachings as Christians may “expect preferential treatment” because of our association with God. Hm. Funny, seems to me to be the opposite in today’s world! Gerald teaches in his first message that we can expect favor from both God and man! I guess Paul had it all wrong when he said, “For am I now seeking the approval of man, or of God? Or am I trying to please man? If I were still trying to please man, I would not be a servant of Christ.” (Galatians 1:10). In Part 2 of this series, which is loaded with law and works-righteousness, Gerald says that our “thoughts attract and draw like magnetic forces,” which is why we need to be cautious about negative thoughts. After all, he says, God created us to be “very powerful” beings. (Online source). The idea that our thoughts have power is typical Word-Faith doctrine and Kevin Gerald has proven himself to be little more than a Joel Osteen wannabe. But, he has a large church, and that seems to be one of the primary prerequisites to be a speaker at Young’s C3 Conference. To listen to the promotional videos for this event is to gain the impression that, though it may be marketed toward “church leaders,” there is very little church-centered or even *gasp* Jesus-centered teaching that will take place. These promo videos laud Ed and Lisa Young and extol the wonders of the creative ideas one will glean from C3, but they fail to reveal what role Jesus will play, if indeed He will be allowed a cameo appearance at all. (Online Source)One more conference, one more breeding ground for narcissistic eisegesis. One more place where the true Gospel likely will be ignored. Is Steven Furtick Supressing the Truth of the Gospel of Jesus Christ?